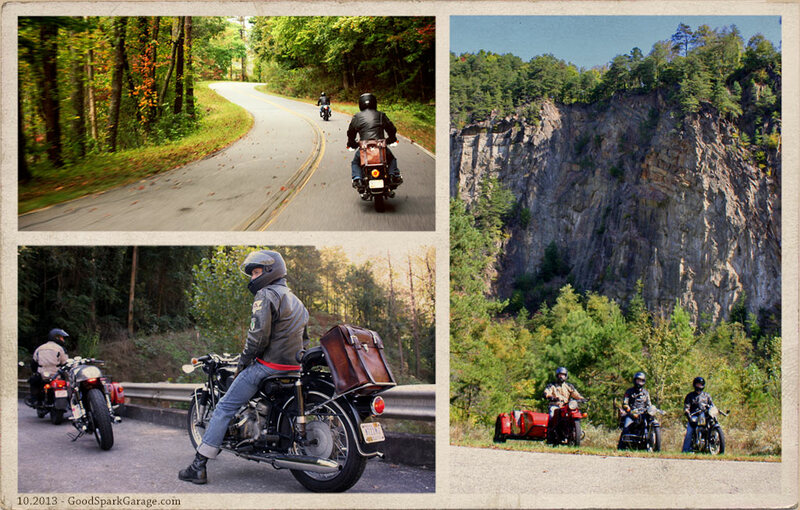 To illustrate where we rode and where Deals Gap is, click on the map above for an enlarged view. The roads to ride are countless, but our highlighted sampling is a good concentration of enjoyable routes that will lead you by many great offshoots and roadside attractions. 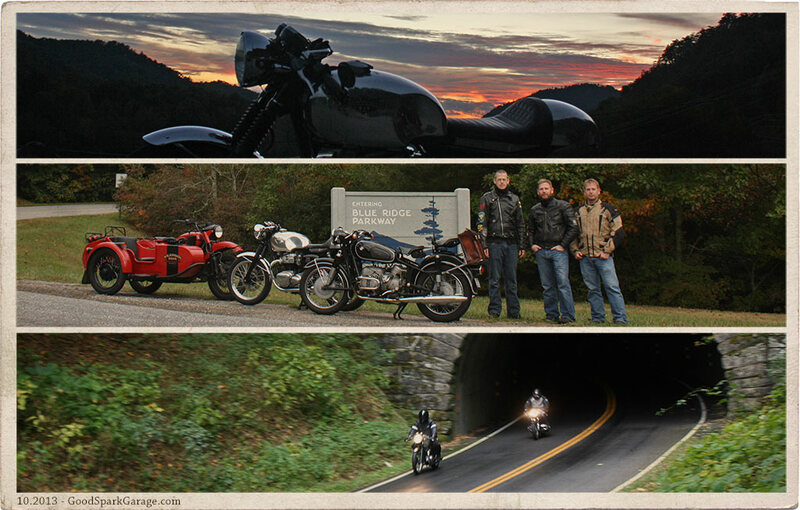 We (Wilkinson Bros) have been riding to and around the Deals Gap for the last 15 years. 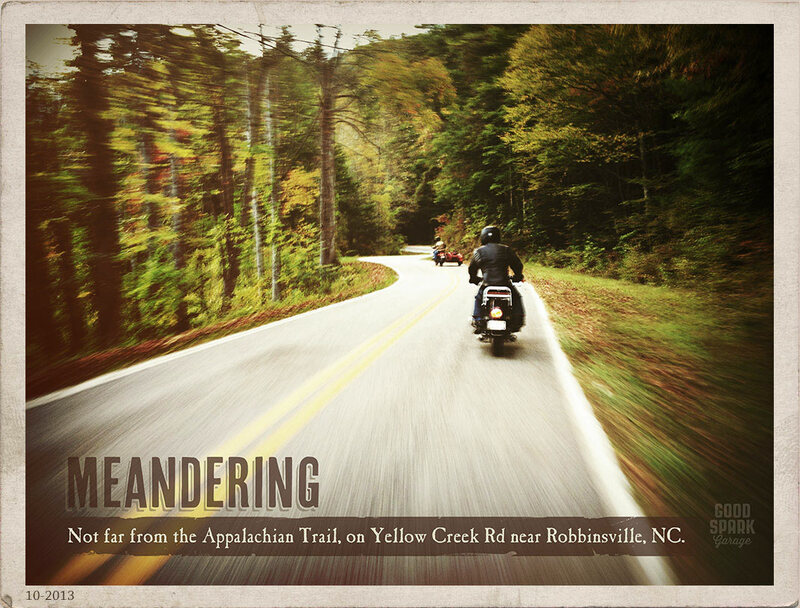 Up until this trip, we’d always hustled and tested our cornering ability on sport-touring bikes or hooligan bikes. 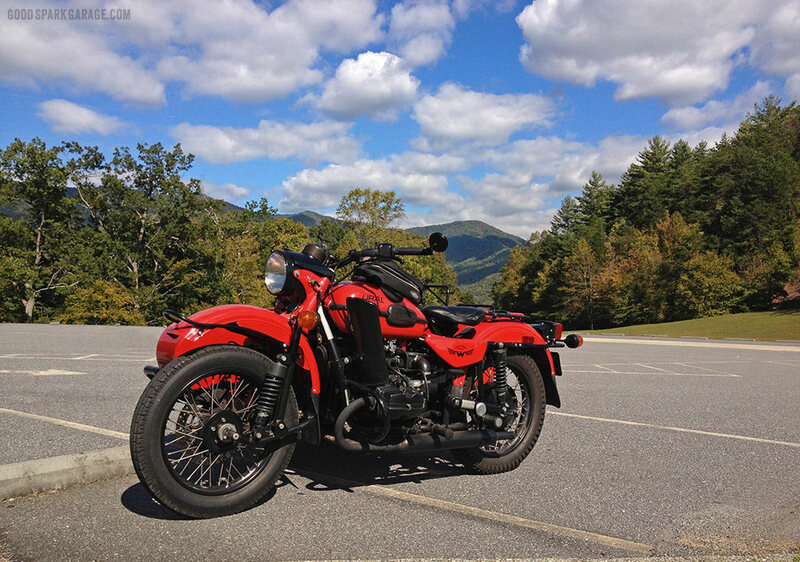 This time would be different; we’d knock the speeds down a notch and enjoy the ride via our Ural sidecar and W650 cafe racer. We were also looking forward to introducing a good friend, Chris Sickels, to the area. 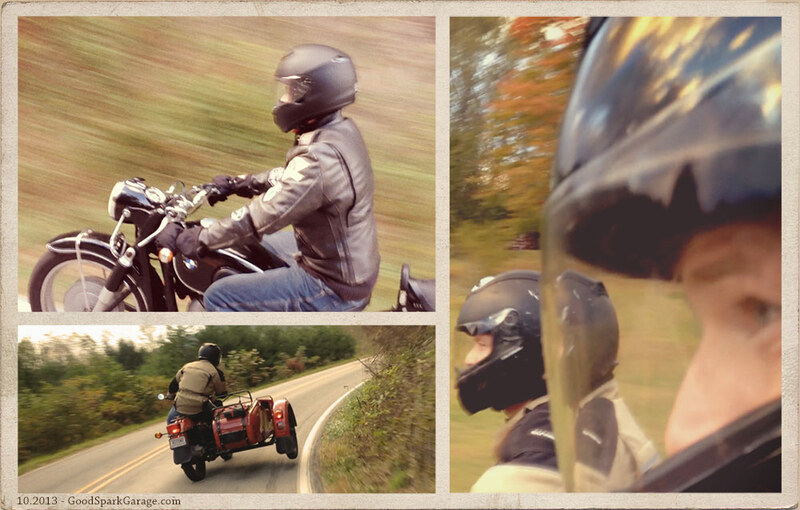 He rode his ’66 BMW R60/2. Top and right: Hwy 28 near Fontana Dam in NC. Bottom left: Just off Hwy 129 near Tapoco, NC. We trailered down from Indiana to move more swiftly on the super-slab and preserve the bikes’ innards. Our intention was to maximize the time in the mountains rather than rack up hours on the way there and back. It was a great time to talk and share ol’ Gap stories with Chris, sprinkling in some warnings about the danger that awaits motorcyclists there. Plenty of curves available for Casey to hone his chair-flying techniques…and antics. When folks discuss the Dragon’s fame, and lace their conversations with words like “best,” it creates controversy. 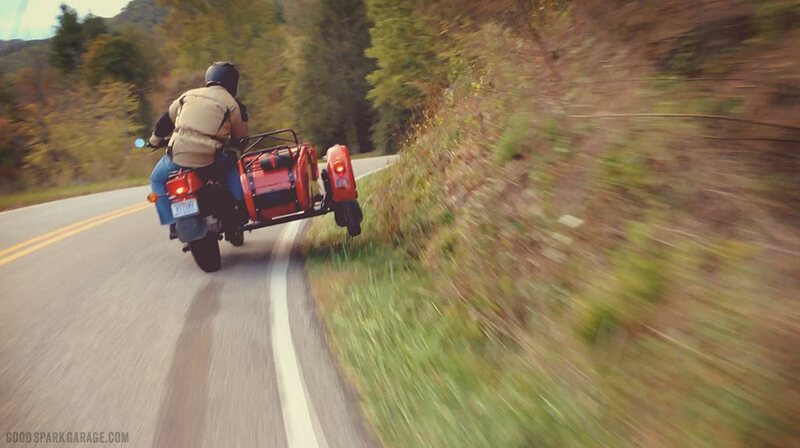 Understandably, people have different ideas of what makes a road perfect for motorcycling. It’s like trying to label a song as “The Best Song.” Can’t do it. But we can vouch for the fact that the Dragon’s 11 miles are about as enjoyable as it gets for a public, twisty, clean, challenging, pretty and adrenaline-inducing road. 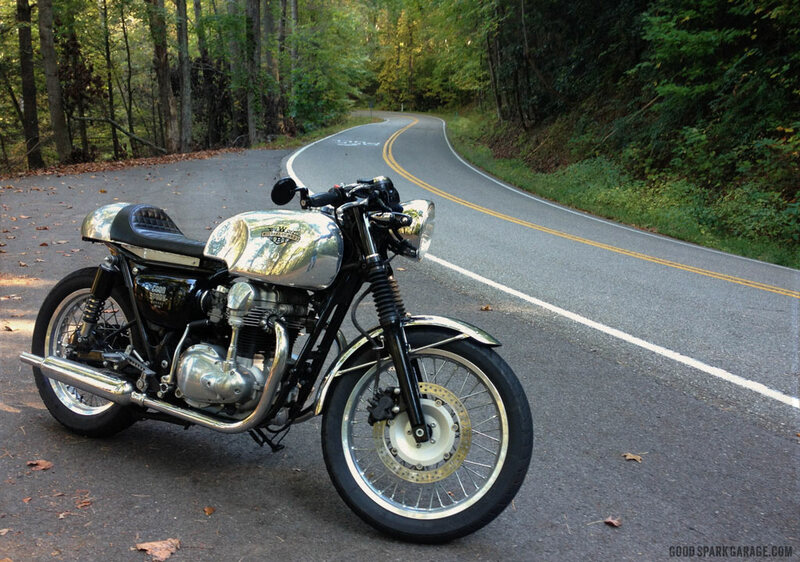 Accolades for the Dragon aside, even the good folks at the Deals Gap Motorcycle Resort will tell you, it’s the hundreds of miles of curves and winding ribbons of asphalt all around them that make this area a “best” destination for motorcyclists. There’s no question though, that the DGMR is the epicenter of the area’s great roads. It offers great food, room n’ board, camping, convenience store, moto accessories, stickers, shirts, fuel and parking-lot camaraderie. As we approached the Dragon, we got all giddy knowing Chris would ride it for the first time. We thought back to years ago when we first leaned a bike into its banked turns and compressed the forks in the elevation-changing curves. During our first day in the area, we rode the nearby roads before we made it to the north end of the Dragon…just after dusk. Yep, Chris’ first Dragon experience was a night-ride, following our taillights in a dark, branchy canopy. It was an exciting, brisk pace as our three headlights crisscrossed ahead, lighting up the trees and rock faces. In the days following, we were able to make some sunny passes. 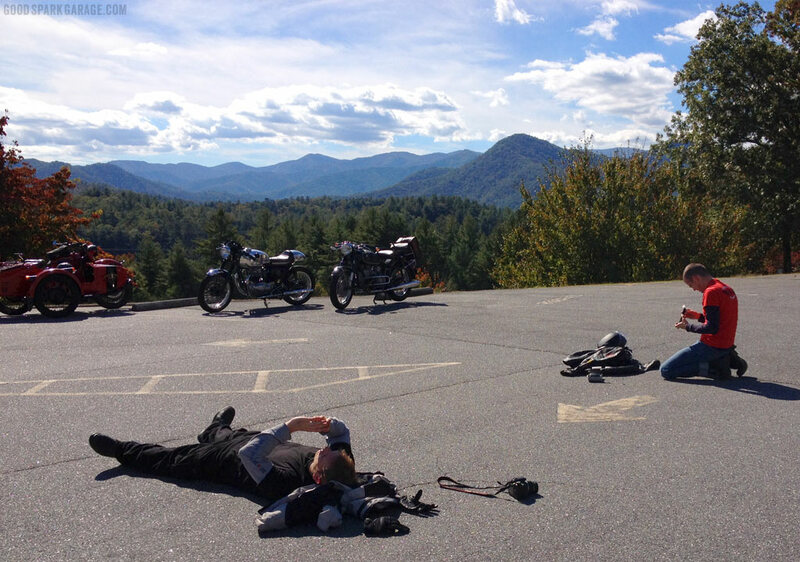 Casey rests in a parking lot off Hwy 129 near Robbinsville, NC, while Chris readies his vintage Polaroid camera. The view from our room at Tuskeegee Motel in North Carolina. We stayed at Tuskeegee Motel on Hwy 28. It’s a convenience store and gas station as well, making it a handy home-base for the trip. Ben and Barbara Crisp have been running the place for decades and only recently transitioned ownership to their son. Each time we’ve stayed there, the hospitality was top notch and we’d often partake of the BBQ sandwiches and hand-spun shakes made by the owner himself. 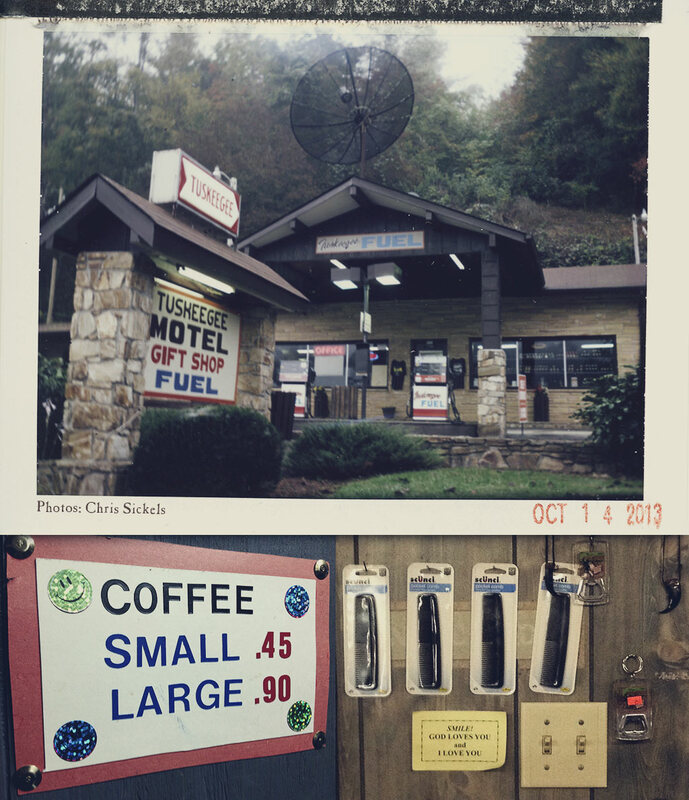 The pics above may look like they’re from the 60s, partly because Chris took the gas station pic with his old Polaroid, but also because the Tuskeegee boasts a no-frills persona that’s endearing to the utmost. Rooms are clean, affordable and located on Hwy 28 along one of the area’s best curvy stretches in our experienced opinion. 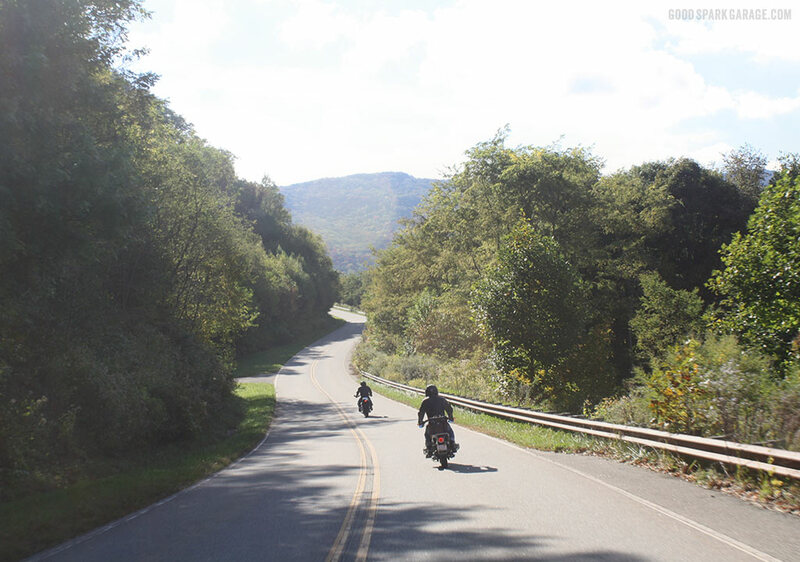 More specifically, the section of 28 from nearby Fontana to the Deals Gap Motorcycle Resort is amazing and scenic, but slow down for the two 10mph curves…seriously. 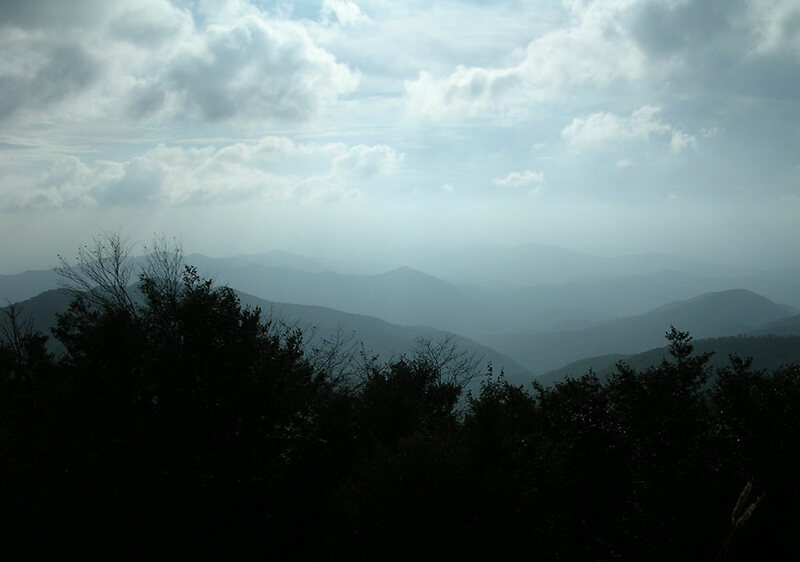 This photo sheds light on why they call ’em the Smoky Mountains. 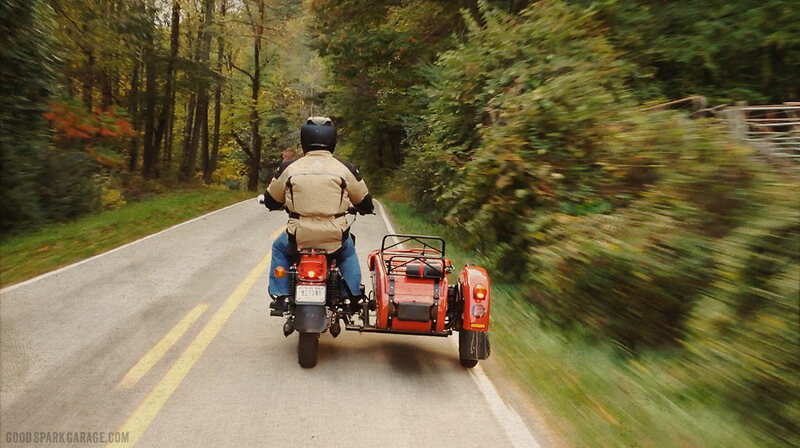 Popular and close-proximity roads include the Foothills Parkway, Blue Ridge Parkway and Cherohala Skyway. The Cherohala provides some really nice sweepers on a quality of asphalt that reminds us of fine grit sandpaper (there’s actually a sparkle to the surface). The curves aren’t as tight as the Dragon’s, although there are a couple that’ll sneak up on you. If you go the speed limit, they’re still enjoyable. If you go a little/lot higher than the posted limit, they’ll have you grinning from ear to ear as you carve the high-altitude curves. Note: Keep an eye out for bikes and cars entering and exiting the many pull-offs. 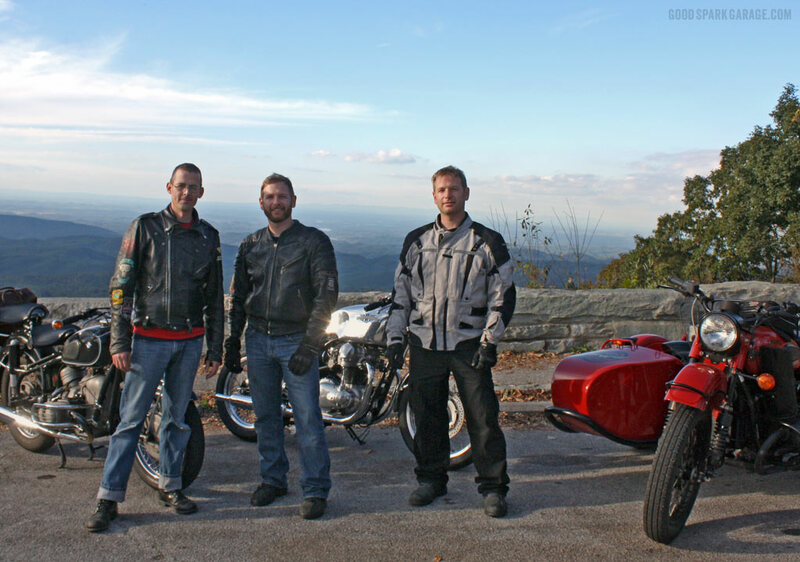 Corey and Chris on the Cherohala Skyway in North Carolina. 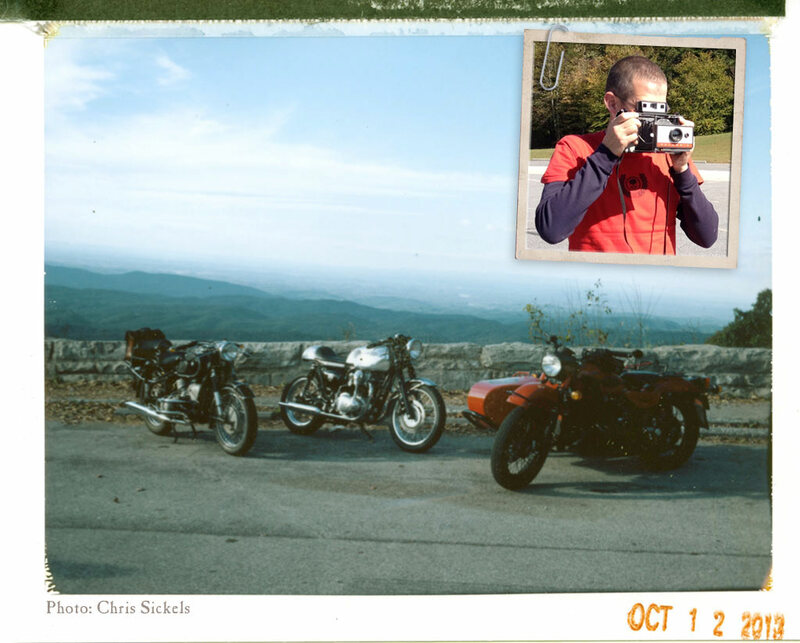 Chris Sickels’ Polaroid pic on a Cherohala Skyway scenic overlook. In the cooler months, it can get chilly on top of the Cherohala; might need to put in your jacket liner or bring an extra sweatshirt. We were here in October toward the end of the day and it was a bit cool, but the air was still comfortable and crisp. 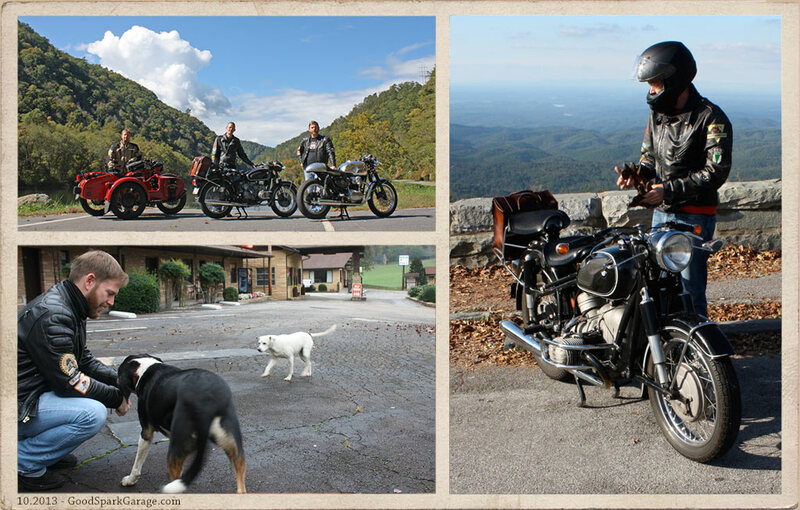 Venturing away from the Robbinsville/Deals Gap area, we headed toward Cherokee then Maggie Valley to visit the Wheels Through Time vintage motorcycle museum. It was such a great visit that we had to create a separate post for it: click here to read about our experience looking at Dale Walksler’s incredible collection. After our time there, we headed just 4 miles up Hwy 19 to the Blue Ridge Parkway. 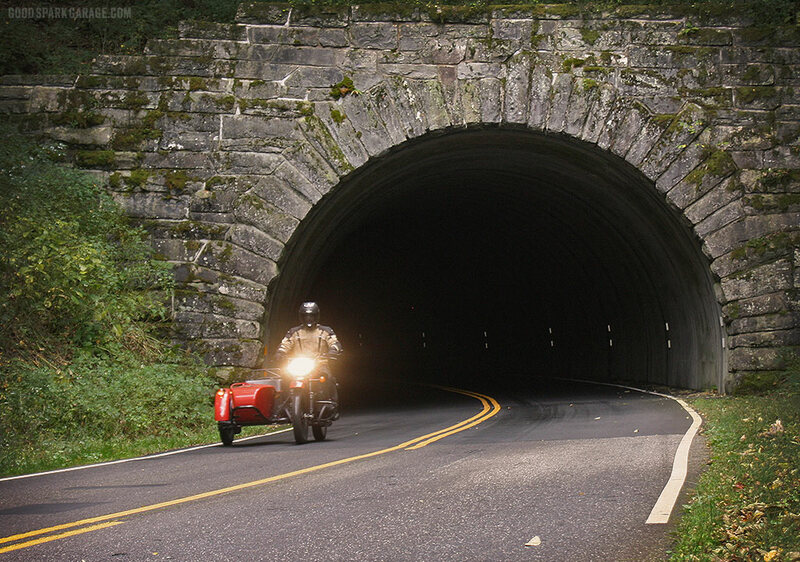 We opted to take the short portion of the BRP north of Hwy 19 which provided plenty of beautiful views and five neat tunnels (see first pic of this post). The BRP links up to 441 where you can follow it down to Cherokee. Riding through the touristy strip is good for people-watching and, if you so choose, buying souvenirs pertaining to Cherokee Indian heritage. 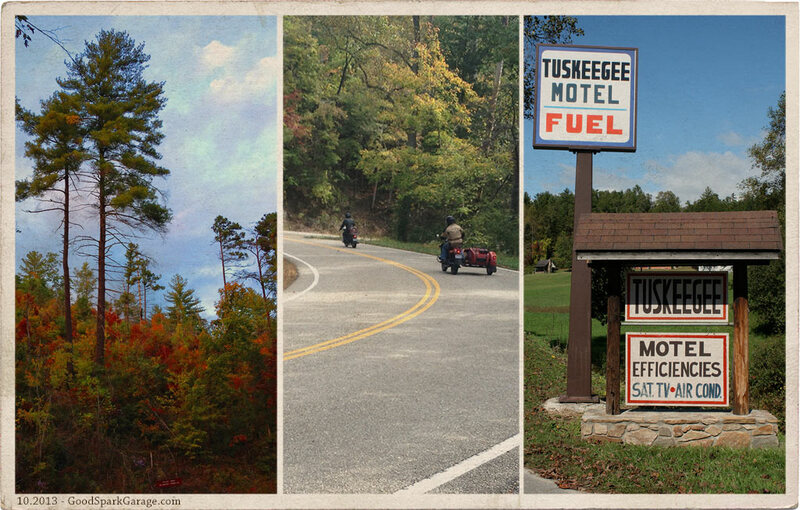 A favorite for all of us was riding Upper Tuskeegee Road (just up the hill from our motel off of Hwy 28) until it turns into Yellow Creek Road, which takes you to Hwy 129 south of the Dragon. You won’t hear folks talking about it and you may not see another bike out there, but it serves as a great perspective of rural mountain living. The roads aren’t perfect, they’re really narrow in places and there’s a steep switchback that’ll make you stomp down a gear and tighten your grip. It’s these qualities that make us feel like we’re taking the road less traveled or getting the backstage tour. 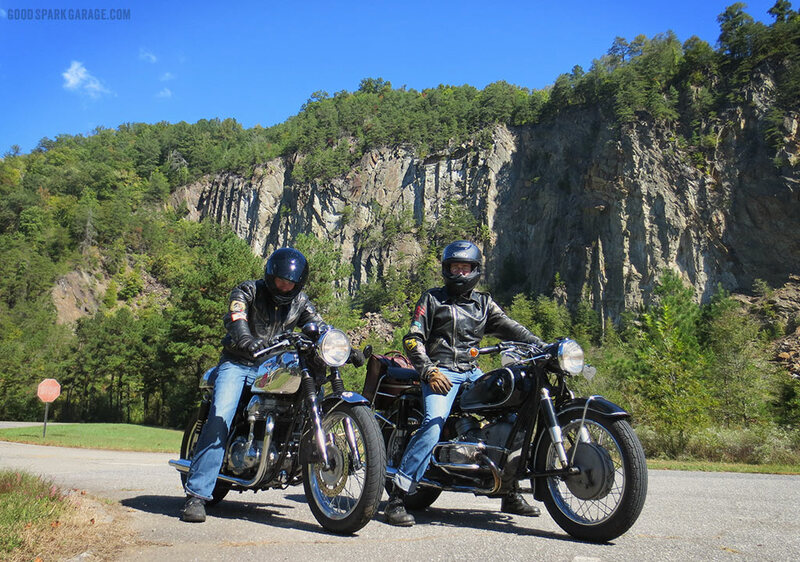 Corey (left) and Chris taking advantage of the rock backdrop for a photo op near Fontana Dam. 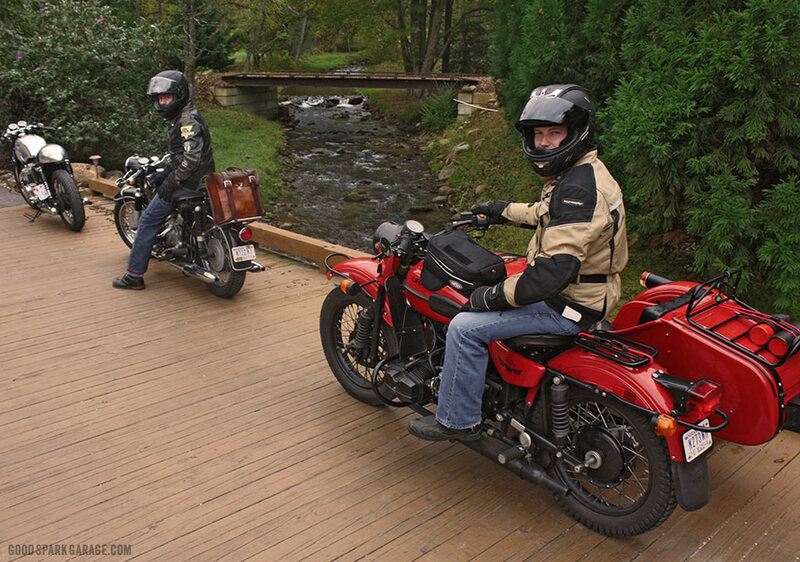 Chris (left) and Casey pause on a picturesque bridge at the Iron Horse Lodge in Stecoah, NC. It’s funny, when people start to debate how one motorcycle road compares to another, there’s often animosity toward the ones they think are inferior. We’re not about to enter the forum where stats and factors are argued regarding the Deals Gap area, but we’d confidently suggest it as a must-go destination. Do the Dragon, yes, but be sure it’s only part of your trip. 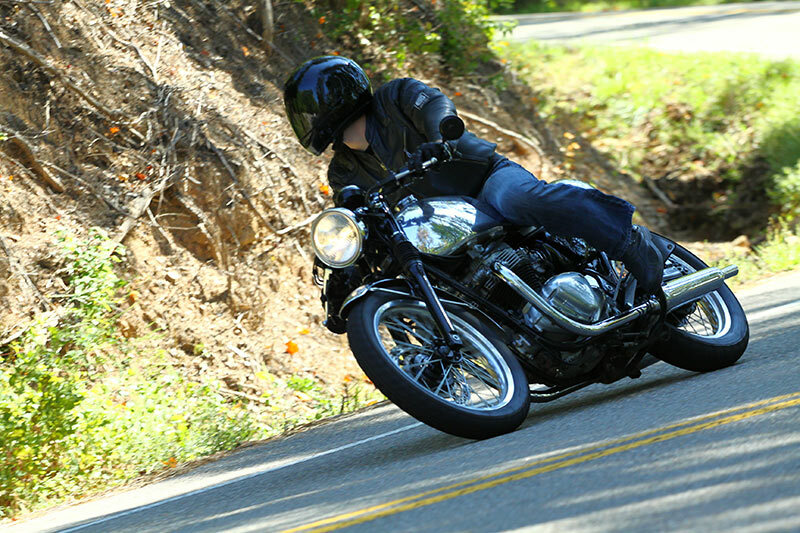 As a first-timer to the area riding an almost-50-year-old bike, Chris really enjoyed his visit. And, in a motorcycling sense, he was baptized by fire with the many curves and challenges he logged in a short period of time. We were impressed with his acclimation to an area that intimidates many. If you’re uncertain about tackling these roads, let his story encourage you. We explored rural mountain roads barely wide enough for a truck, where foliage leans out to touch you and forms miles of green tunnels. 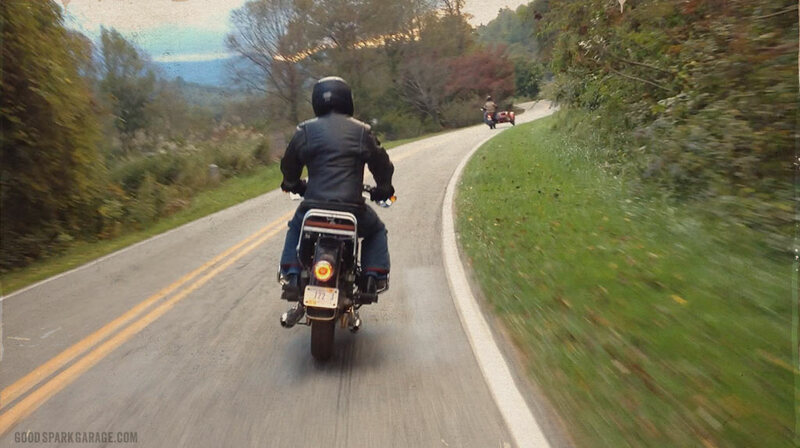 Driving a car through the Great Smoky Mountains is somewhat of an indirect experience (we’d still recommend it), but motorcycling allows total immersion. Climbing and descending, seeing light poke through the trees and feeling the temps drop with the sun helps make you feel small and aware of a Creator. 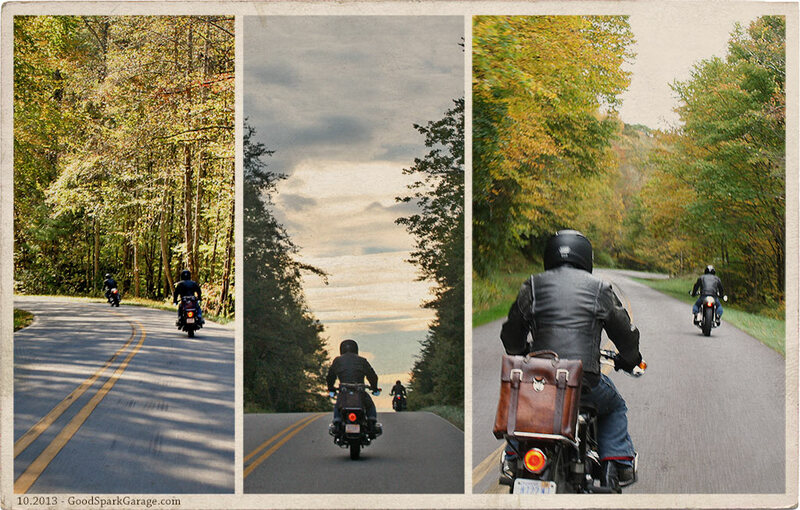 It evokes thankfulness and a desire to know what’s around the next bend…and throttle toward it. 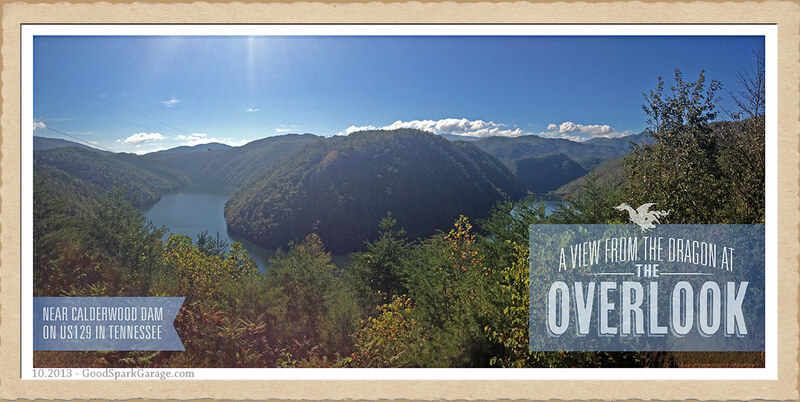 We’re already looking forward to our next trip to Deals Gap to find more of its hidden treasures. If you liked this story, send yer friends on over to GSG; we’ve got some stories here we think they’ll like. Thanks! Great stuff. Love the story. Okay, so I already commented, but I’ve been going back over the pictures again. Seems to me that none of the bikes–well, maybe the old BMW–have any right to appear so perfectly at home in that environment. Who would expect a cafe racer, a bike with its roots buried in the “wilds” of London, to just seem so perfect in the mountains? And yet it does. All three are beautiful for different reasons. Glad nobody is forcing me to chose between them. Not sure I could do it. I also enjoyed the idea that you didn’t feel the need to blast through that beautiful spot without taking time to recognize how privileged you were to be in the moment. That resonates with me. Thanks for the story. I just stumbled across your site here and have to say it’s a great synopsis of the area. Funny to see this though as a group of friends and I were staying at the Tuskegee Motel at the same time. 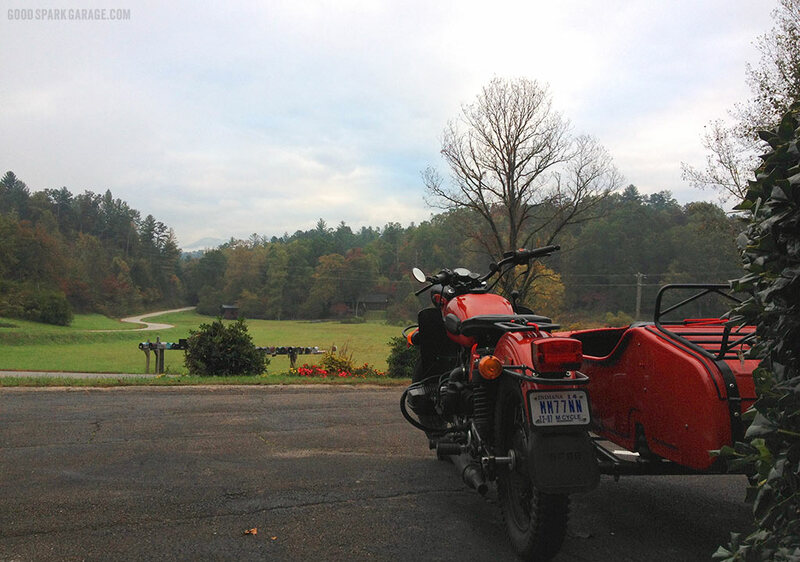 I remember seeing you guys getting the bikes ready in the morning and got a bit of Ural-fever from seeing that thing. All three of those bikes are absolutely beautiful and made me miss my old cafe racer. That motel really is a great little place, I’ve always stayed in the Robbinsville area in the past, but will undoubtedly stay at Tuskegee again in the future. Hope the bikes are running well and keeping the smiles going! Talking with Corey over the past weekend at Rockers Reunion Indy led us to conversing about this area and our collective adventures down there. It also led me back to GSG to see some of the work you guys have done since the last time I visited your site. Great article and imagery, as usual, and I always love to take someone down there for the first time as you have done with Chris. My brother and I are planning to go in a few weeks with a handful of guys you may know, some of which have never been before, to continue our tradition for the twelfth year in a row. Very excited to say the least!